Unnikrishnan Nair also leads LCL Logistix (I) Pvt. Ltd as it's Chairman. Further, he holds directorship with other companies within the LCL group apart from Ocean Gate Container Terminals Pvt. Ltd. Under Mr Nair's leadership and vision, LCL Logistix has grown from a humble beginning as a freight forwarding agency to a leading multinational logistic company with 33 branches within India and fully owned international subsidiaries. A visionary leader and a master executioner Mr Nair foresaw the potential in logistics industry and determined to diversify the company's activities in various logistic sectors. 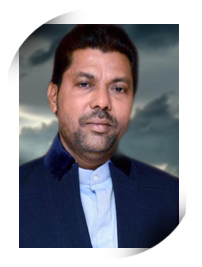 Mr Iqbal Hussain Qazi is a leading businessman especially dealing with steel and steel products. He joined hands with LCL Logistix India Pvt. Ltd for venturing into CFS industry at Nhava Sheva in 2010. As a dynamic individual, Mr Iqbal Qazi also hold Directorship in other companies i.e., Iqra Steel & Tubes Pvt. Ltd, Qazi Trading Company and Bharat Petroleum outlets. A qualified Chartered Accountant brings with him a wealth of financial operation and management experience. He is currently serving as the CFO for CMA CGM India with additional responsibilities as member on the board of various investments of CMA CGM in India such as Ameya, Honeycomb CFS etc. With a career spanning over 14 years within the shipping Industry, Atit previously held senior positions in Finance with P&O Nedlloyd and Maersk Line. In 2007 he joined CMA CGM as Finance Manager responsible for Cost Control Function and Principal's account. In 2010 he took over as the CFO of CMA CGM India. He has been introduced into the Board of LCL Logistix India Pvt Ltd. Subsequently he has been associated with Ocean Gate Container Terminals Pvt. Ltd in the capacity of Director in OCTPL's Board. Atit's global know how in strategy implementation and his acumen in finance will be beneficial for Ocean Gate Container Terminals Pvt. Ltd in chartering its future growth. 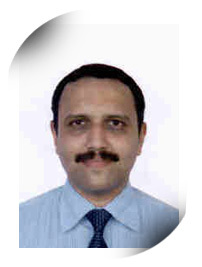 Mr Murthy is a Senior Vice President in LCL Logistix (I) Pvt. Ltd and one of the senior members in the company who participated in the growth of logistic activities in Western Region. He is instrumental in the conceptualization and development of CFS, Ocean Gate. Prior moving to LCL he was associated with CFS, Conware (Punjab State Container & Warehousing Corporation) as it's first Chief Manager and had a major contribution in the growth of the CFS. Prior moving to Conware, he was associated with Shipping Line CMB (Container Maritime Belgium) and also with Central Warehousing Corporation in various capacities. Mr Murthy is a Graduate in Chemistry and a Post Graduate in English Literature from Andhra University..
Mr Zia is one of the key person in establishing the CFS, OCTPL. His vision on the present Logistic requirement to the trade made him associated with the CFS in making OCTPL a success. Mr Zia also holds Directorship in Indo Tubetech Pvt. Ltd and was associated with Voltas International in Middle East for 7 years. Mr Shreinik Shah is a leading businessman especially dealing with steel and steel products. As a dynamic individual, Mr Shah also hold Directorship in other companies i.e., Riddhi Siddhi Steels and B. Vrajlal & Company. Mr Shah is a Commerce graduate from Mumbai University .